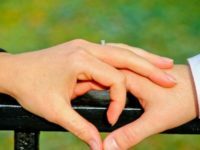 You have experienced an extraordinary beginning to your relationship, filled with passion and butterflies in your stomach, but now you feel something is off , and you want to know how to find out if he’s worth it, and to help you with that, we have identified 6 signs that you’re wasting your time. Because if your couple isn’t going to last, the sooner you find out, the better. So how to know if he’s worth it ? Here are 6 signs that you’re wasting your time. In a functional relationship, both partners can be themselves entirely. That’s why one of the sentences you get a lot at the beginning of a relationship is “What I love with you, is that I can be myself”. If you start questioning yourself, wondering if the way you act is good or not… there’s clearly trouble in paradise. Either your partner pressures you (involuntarily or not) to change. Or you are afraid of losing him and constantly try to be worth him and to deserve his love (which clearly means you’ve become affectively dependant). In any case, if you never cease questioning yourself, that means you’re not fulfilled within your relationship and that it’s about time things changed. I know it’s difficult but there can be some very good reasons for breaking up, and even sometimes, for breaking up with the love of your life. Find yourself again! That’s the best present you can give to yourself! One of the most visible signs that your relationship isn’t going well simply is that you start doubting your love for your partner. WARNING, having doubts once in a while is perfectly normal in any relationship! NOBODY, and I mean nobody, lives with someone for 20 years without ever having any doubts. Maybe you entered the opposition phase of your couple and you’re doubting your relationship because there are some little things about your partner you can no longer stand. But once again, that is normal, and you can perfectly well find a new balance after going through a darker period. But if you’ve been asking yourself “do I still love him?” for months or even years, I’d put all my money on no, you don’t love him anymore. And it’s past time you spread your wings and fly away rather than losing your best years with someone who isn’t right for you (or at least not anymore). You always ask him what he did, who he was with, at what time he got back… You reassure yourself by thinking you’re just interested in him. When you’re in fact grilling him because you don’t trust him. And, as I say in every article, trust is the PILLAR of every healthy relationship! If you constantly doubt him (or her), that’s because you don’t trust him (anymore). And without trust, your relationship will never last! Wether you’re living together or not, you have the feeling there is a big gap between his feelings and yours. You desperately try to get his attention, you want him to tell you how his day went, to tell you anything really, and you realize communication really isn’t his thing. He barely speaks to you. He answers your questions with monosyllables. You get the feeling he doesn’t want to share his daily life with you and it’s weighing on you emotionally. What is worse in a couple than the feeling of boredom? Sometimes you fight, sometimes you hate each other… but boredom? If you find yourself at that point, maybe you haven’t been able to take care of your relationship in time : making plans, doing activities together, sharing centers of interest… You let it all slide and today, you realize that you simply don’t share anything. You can’t stop wondering if you’re staying with him (her) because of love or habit and you have growing doubts about your relationship. A couple can’t blossom in a pot filled with boredom. But then, nothing happened as planned and the more time goes by, the more you find yourself wondering why you are together. Today, when you imagine the future with him (her), you are more worried than happy. Don’t look any further, building a healthy and solid relationship is impossible if a future with your partner is complicated to imagine.